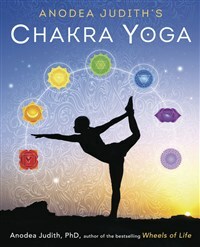 In this long-awaited book by acclaimed chakra expert Anodea Judith, you will learn how to use yoga's principles and practices to awaken the subtle body of energy and connect with your highest source. Using seven vital keys to unlock your inner temple, you will be guided through practices that open and activate each chakra through postures, bioenergetic exercises, breathing practices, mantras, guided meditation, and yoga philosophy. With beautiful step-by-step photographs for each of the poses, along with guidelines for deeper alignment and activation of the energy body, this book is a valuable resource for teachers and students alike. Anodea Judith, PhD is the founder and director of Sacred Centers, and a groundbreaking thinker, writer, and spiritual teacher. Her passion for the realization of untapped human potential matches her concern for humanity's impending crises—her fervent wish is that we "wake up in time." She holds Masters and Doctoral degrees in Psychology and Human Health, with lifelong studies of alternative medicine, yoga, mythology, history, sociology, systems theory, and mystic spirituality. She is considered one of the country's foremost experts on the combination of chakras and therapeutic issues and on the interpretation of the Chakra System for the Western lifestyle. She spends much of her time on the road teaching, with workshops and trainings offered across the US, Europe, and Central America.